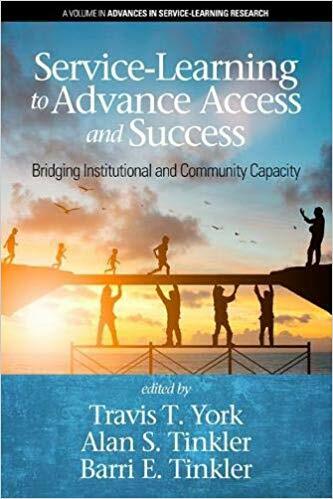 Laura Martin, UM Higher Education graduate student, recently published a book chapter in Service Learning to Advance Access and Success: Bridging Institutional and Community Capacity. The book chapter titled, “Planting Seeds through Service: A Qualitative Approach to Assessing Student Civic Learning through Community Partnerships” considers how institutionalizing community engagement through co-curricular service-learning programs can strengthen community-university partnerships. This qualitative study assesses student civic learning outcomes while serving in the yearlong Student Engagement Fellows program, a co-curricular service-learning experience at the University of Mississippi. An ethnographic sensibility (Polin & Keene, 2010) approach was utilized to understand student civic learning in programs structured to bring about transformational partnerships through democratic engagement practices. Exploring student reflections on a partnership with a rural community in the impoverished Mississippi Delta, findings from this study suggest four key student civic learning outcomes and offer considerations as to how student civic learning can be harnessed to enhance the integrity of community-university partnerships.